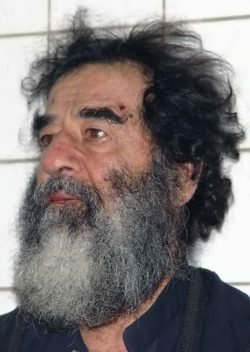 Ten years ago Iraqi President Saddam Hussein was executed after the US invasion done under the false premise that he had stockpiled WMDs and had ties to Al-Qaeda. An explosive new book has just been released from John Nixon, Saddam's CIA Interrogator, revealing a lot of information never heard before. The invasion of Iraq left it in shambles with over 1 million Iraqi's dead and constant fighting still exists to this day with ISIS (Al-Qaeda 2.0) ruling vast regions of the country. 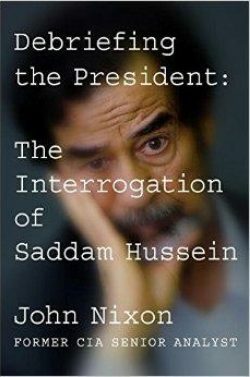 In his book "Debriefing the President: The Interrogation of Saddam Hussein", Nixon, the first person to interrogate Saddam, indicated that much of what we knew about him and the reason for the invasion was in fact wrong. He revealed that in 2003, Saddam had handed over much of the power involved in running the country to his senior aids, so he could write a novel. Besides having stopped his WMD program years ago, this fact about his leadership was something the CIA was unaware of, thinking Saddam was pulling all the strings in his country. He also mentioned that he thought the US and Iraq were natural ally's in the fight against Al-Qaeda and extremism and even believed 911 would have brought the two countries closer together in their fight. He mentioned how Saddam did not have a very good understanding of America or international relations. "You are going to fail. You are going to find that it is not so easy to govern Iraq. You are going to fail in Iraq because you do not know the language, the history, and you do not understand the Arab mind." 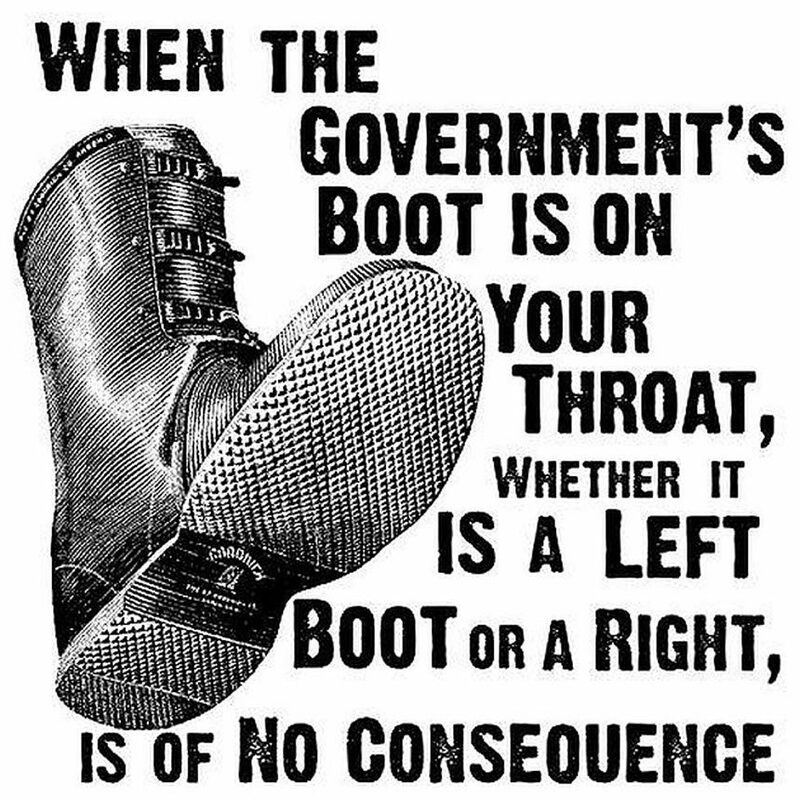 This warning still eqoes true today as the country is a mess with people dying en mass on a regular basis and ISIS controlling much of it. Nixon said, "Instead of talking to the Butcher of Bagdad, I found myself talking to this aging, Iraqi grandfather". He said Saddam was one of the most charismatic individuals that he's ever met in his life. "Saddam was very smart, polite and nice and was self deprecating in his humor." One startling revelation that Saddam gave and was corroborated with Iraqi documents later on was that Saddam never ordered the chemical weapons attack on his own people like was being reported by the US government and mainstream media. An Iraqi commander made the decision on the battlefield to make the attack. Saddam was furious with him afterwards because the use of the weapons were being used in PUK territory and they were allied with Iran and he was afraid Iran would make a big stink about it with the international media. What he writes is vastly different then what Americans were being told in the mainstream media. In his book, Nixon said it was a myth that Saddam used a bunch of look-a-likes to remain hidden. That was fabricated by the media and the intelligence community used to laugh at that. Saddam told him America is full of a bunch of ignorant hooligans with no clue about Iraq or its culture or people at all. He mocked at the idea that Iraq had WMD's, pointing out that everyone would know they would not use WMD's as it would mean certain retaliation. He thought it was dumb that Americans would buy the idea that he had any thing to do with Osama Bin Laden at all or use that as a reason to go to war with Iraq. He said "The spirit of listening and understanding was not there", in reference to how America bought the lies from the mainstream media. Saddam said, he didn't even exclude himself from that, in other words, he said, "when people aren't trying to listen or understand each other, the facts gets buried and the crap gets stirred". Which is so true for then and now. And boy did the facts ever get blurred. No one today denies that America went to war with Iraq under false pretenses, just like they did in Vietnam (Gulf of Tonkin incident), and influenced so many other regions destablizing many for decades. Russia is now the new target of the American intelligence community. We only hope Obama's successor has a brain and uses it. The president usually gets daily briefings of what is happening around the world and they probably scare the pants off him on a regular basis. Trump has limited his briefings to 1 a week, so maybe we will see sanity come out of the White House for once.